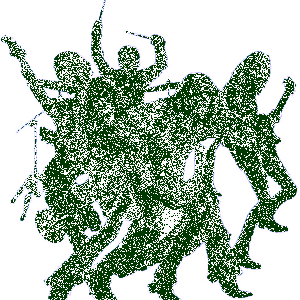 Spin Doctors Biography, Discography, Music News on 100 XR - The Net's #1 Rock Station!!! New York City-based rockers Spin Doctors formed in 1988, comprising vocalist Chris Barron, guitarist Eric Schenkman, bassist Mark White and drummer Aaron Comess. Two years later they were signed to Epic Records who released their debut disc, "Up For Grabs... Live" in early 1991, the 6-track EP was recorded live at Wetlands in Lower Manhattan. August 1991 saw the release of the band's first full-length studio album, "Pocket Full Of Kryptonite"; relentless touring and a wave of positive press kept the album alive into the next year, it peaked at #3 on The Billboard Top 200 chart spawning "Little Miss Can't Be Wrong" which rose to #2 on The Mainstream Rock chart and cracked the top 20 of The Billboard Hot 100; the second single, "Two Princes", also hit #2 on Active Rock list, crashed into the top 10 of The Billboard Hot 100 and was a massive smash all over the world; the album yielded one more Mainstream Rock top 10 hit with "Jimmy Olsen's Blues". Ultimately, "Pocket Full Of Kryptonite" sold over 5 million copies in the U.S. and another 5 million overseas. In late 1993 Spin Doctors recorded the cover song "Have You Ever Seen The Rain? ", a Creedence Clearwater Revival classic for the soundtrack to the film "Philadelphia". The second group's album, "Turn It Upside Down", which arrived in record stores in June 1994, failed to replicate its predecessor's success, reaching the #28 slot on The Billboard Top 200 list and stalling at platinum sales; the first single, "Cleopatra's Cat" didn't rise higher than #22 on The Mainstream Rock chart and also "What Time Is It?" never cracked the top 20 of Billboard's Active Rock list, but "You Let Your Heart Go Too Fast" restored them to the Mainstream Rock top 10; Schenkman left the group in September and was replaced by Anthony Krizan, that fall Spin Doctors opened for The Rolling Stones on a series of eleven North American stadium shows. Two years later the quartet unleashed their next full-length disc, "You've Got To Believe In Something", but lackluster sales led to Spin Doctors and Epic going their separate ways. After Anthony Krizan's departure, the band soldiered on with a new guitarist and a new label, Uptown/Universal for the 1999 album "Here Comes The Bride"; but during these sessions, White left the fold. Later, Chris Barron lost his voice to an attack of vocal cord paralysis and soon the Spin Doctors called it quits. 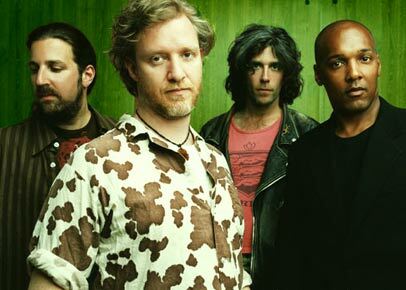 The newly reunited line-up of Spin Doctors issued, "Nice Talking To Me", in September 2005; "Can't Kick The Habit" was the first single off their fifth album.